Front row (left to right): 1. Joanne Moomau, 2. Karen Kent, 3. Diane Mederios, 4. Carolyn Yanes, 5. unidentified, 6. Rosalie Colita, 7. Janice Rego, 8. Darla Beavers. Second row: 1. unidentified, 2. Mary McLoughlin, 3. Delphine Bankhead, 4. Nancy Bosley, 5. LeeAnn Ray, 6. Cherrill Dickey, 7. Jackie Christ, 8. unidentified. Third row: 1. unidentified, 2. Harold Hull, 3. John Aflague, 4. Nick Bubnar, 5. Eric Frank, 6. Hollis Grieve, 7. Bobby Colderra[sp?]. Fourth row: 1. Rudy Martinez, 2. Gerald Vargas, 3. Keith Allende, 4. Wayne Armstrong, 5. Jim Street, 6. Roger Jensen, 7. Paul Beebe. Credits: From the collection of Jim Street. 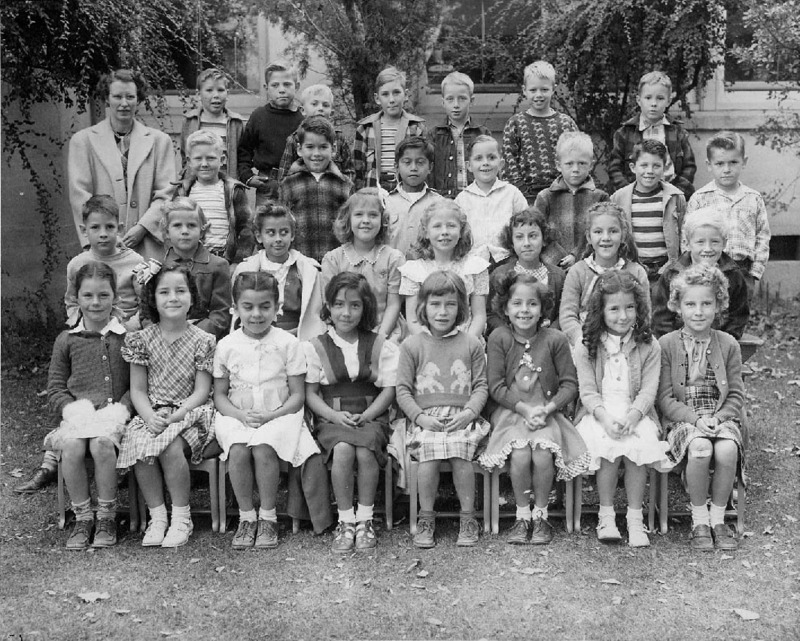 Thanks to Jim Street and Keith Allende for identifying the kids in this picture.